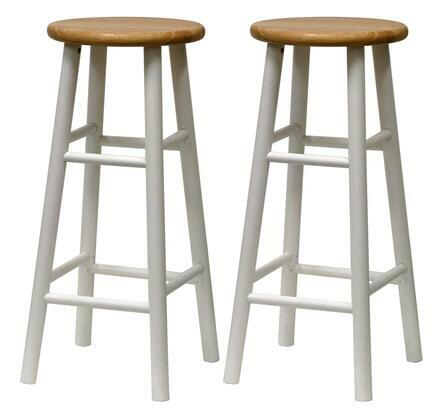 Set of 2 solid wood 29"bar stools with white frame and natural color beveled seat countoured for comfort. The rounded legs are sturdy and takes up a foot print of 13.5"W x 13.5"D with a distance of 10.5" between the legs. 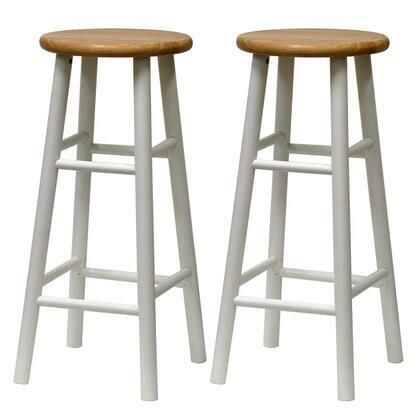 The stool is able to hold up to 220lbs ships fully assembled.